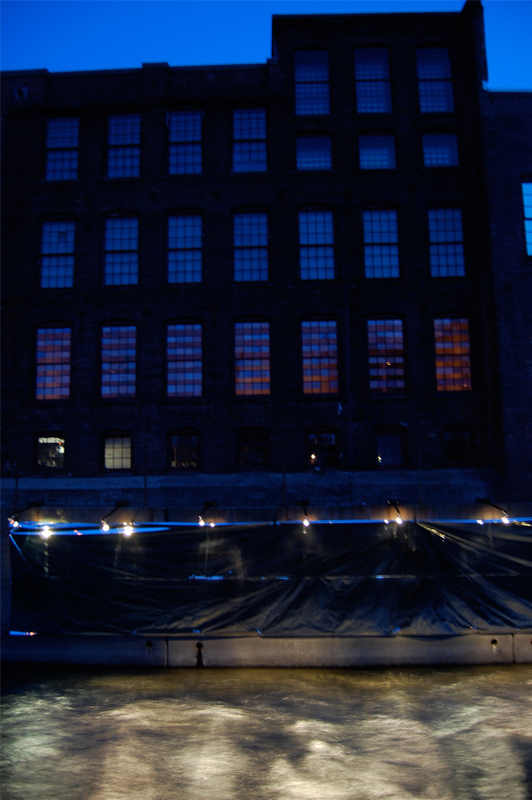 River Reflections is a site-specific light installation for the Hoosac River Lights Project in North Adams, MA - celebrating the Hoosac River and spring. 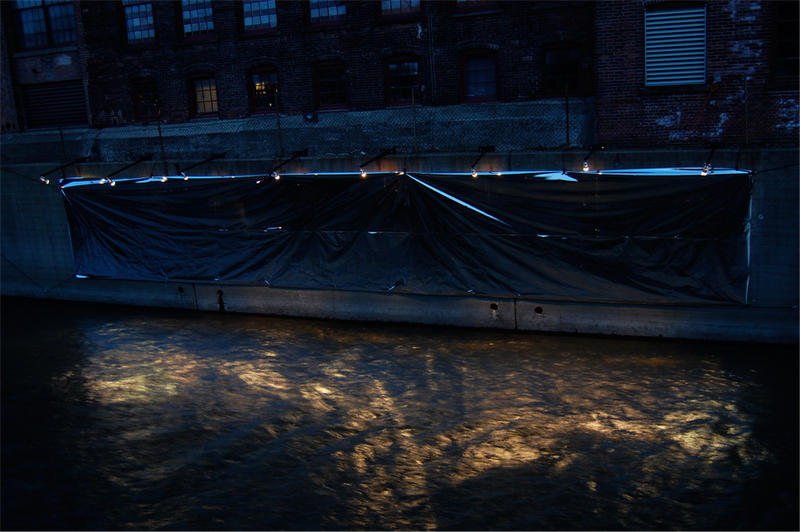 The installation is conceived to captivate viewers with an ambient light installation that asserts the river as integral to the fabric of the town. 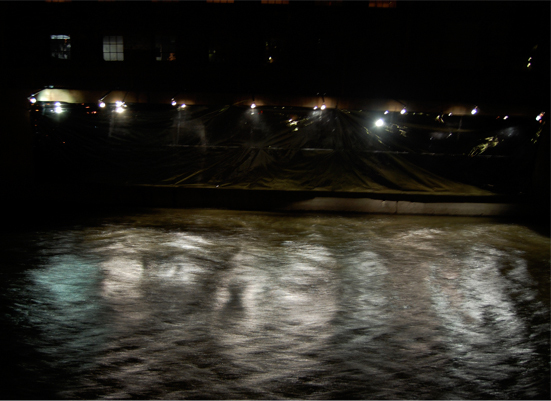 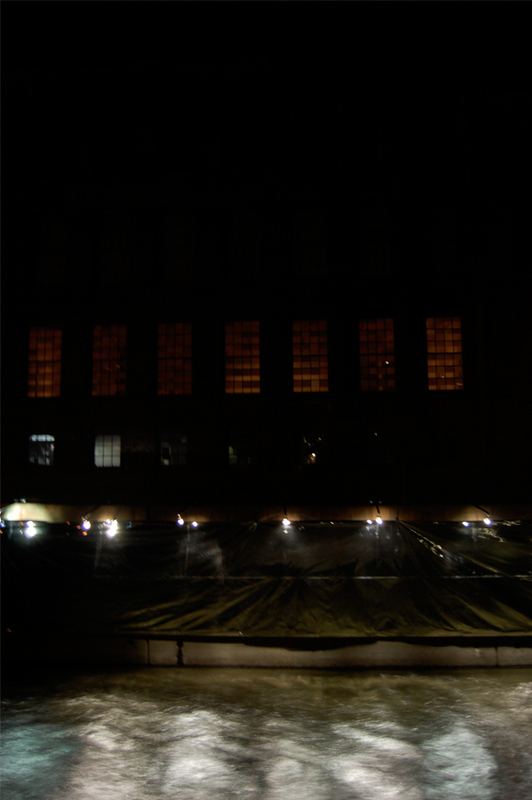 It will be sited on the bank of the river next to MASS MoCA and consists of eight small spotlights shining light against 50 feet of Mylar suspended against the side of the river to create reflections on the water below.